What are implants that do not require you to open up the gums? Until recently, and even today, in order to insert implants, you needed to open up the gums, drill the bone using surgical drills, insert the implant into the bone and then stitch up the holes. Swiss root-shaped implants are specially designed to be inserted directly into the bone through the gum, with no need to open up the gum using a scalpel and with no need for stitches.. Thanks to its unique and innovative design, this implant can also be inserted in the traditional way. This is done by opening up the gums using a scalpel and then stitching them up. Midi® is a revolutionary technique in the field of implantology. The MIDI® technique involves inserting the implant into the upper jawbone through the gum with no need to open it with a scalpel, and with no need to stitch it up. Midi is the least harmful technique in the field of implantology today. Normally, in order to insert implants, we drill the bone using various surgical drills of increasing diameter, and we then insert the implant where we drilled. This involves making a hole, removing the bone and actually damaging it. This is a common implant practice today. This new MIDI® technique means there is no need to remove or damage the bone using a surgical drill. Instead, we insert a type of lance into the gum that dilates the bone. It does not remove it. The lance will create a space in the gum and the bone, and this will act as a guide so we can subsequently insert the self-tapping implant (which is in the shape of a root). This implant is able to penetrate and widen the bone without damaging it. Implant placed through the gum, make the surgery easier. The bone compression makes a better initial stability, what makes the immediate loading (Crown placed over the implant straight away ) posible in most cases. Patient has virtually no pain due to a minimally invasive technique. The wound healing is faster, having the permanent Crown over the implant in shorter time. Because of the lower wages during surgery, all treatment is more affordable. One of the reasons why more and more doctors join MIDI group is the cost effective system. Fast, safe, trustworthy, eficient, cost efective. Immediate placing of temporay prosthesis either immediately or in a few hours. Flapless technique means no severe bleeding, no stitches, no major discomfort afterwards. On patients with clothing problems on most of the imes don´t need to change their medication, the trauma is minimal and bleeding almost doesn´t exist. On diabetic patients, the lession is minimal and the healing succeed faster. More cost effective for the patient as well. Fewer appointments, fewer transfers from/to the practice. Increases dramatically the patient´s quality of life from the very first momento with provisional prosthesis, giving back an immediate smile, being able to chew with confidence and gaining self esteem. All prosthesis are fixed and cemented, without intermediated abutments or screws. It means better higiene, lack of bad smells. It also eliminates the possibility of further complications, such as screw loosening and screws fracture, common in the current Implantology world. Get answers to your questions or ask for additional information by contacting (no obligation) our customer support service using the form. Is the final price higher than the price you would pay for current implant techniques? No, it costs less. The cost of the implant may increase depending on the quality of the dentures and what they are made of. However, if the dentures to be inserted are identical, the MIDI® technique is cheaper than any other dental implant technique. What do I need to do to look after my dentures once they have been fitted? Once the dentures have been inserted, the only things patients should do is stick to a diet of soft foods and avoid tightening them. You only need do these things during the first few days. 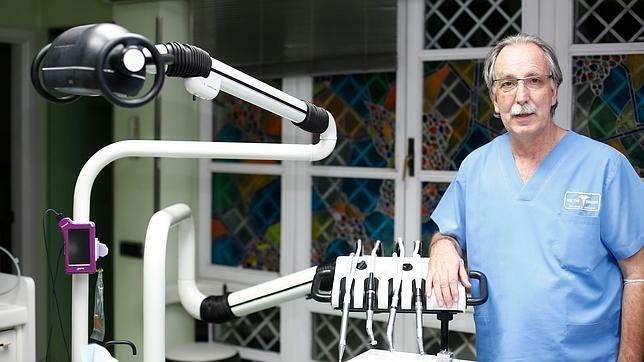 Is having a dental implant fitted with the MIDI® technique painful? The MIDI ® technique prevents any pain or inflammations seeing as, nowadays, this is the least harmful dental implant technique, which is because there is no need to drill the bone to insert the implant. When can I start chewing again once my dentures have been inserted? You can chew again once the dentures have been fully fitted. How long does it take for the dentures to be inserted once the implants are in? Once the implants have been fitted, temporary dentures are fitted within a timeframe ranging from 4 to 24 hours. Then, depending on the case, permanent dentures are fitted approximately 10 days later.